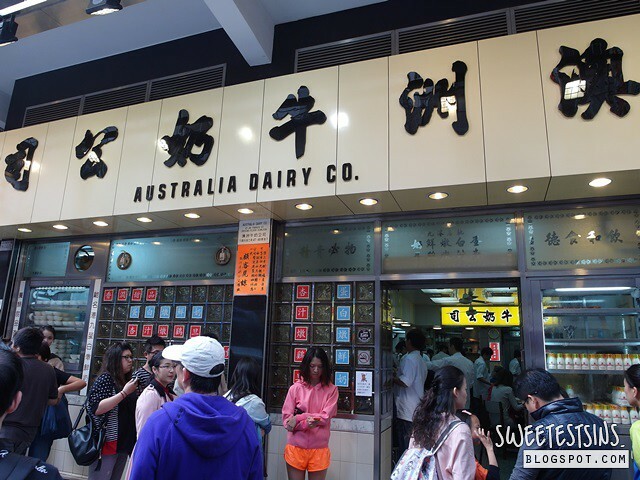 One of the must-try traditional breakfast place in Hong Kong has got to be Australia Dairy Company. 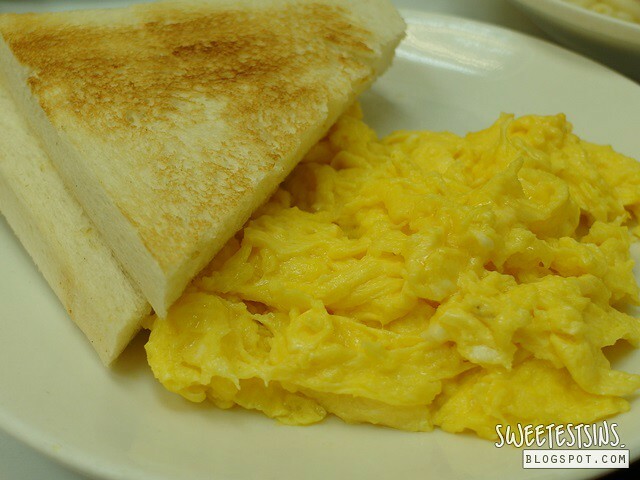 They are known for their egg custard pudding and scrambled egg. 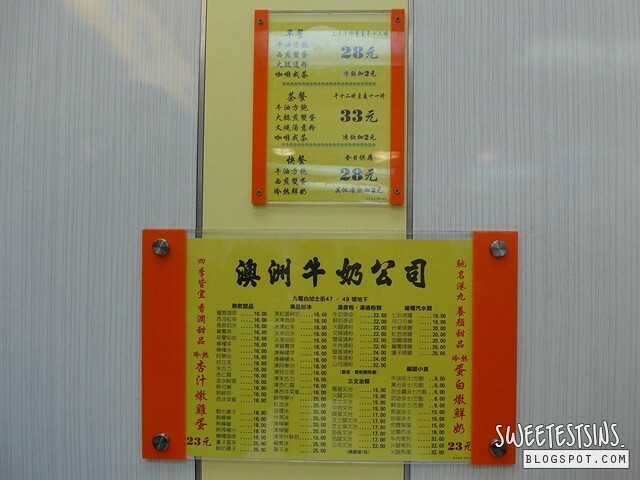 Don't be misled by the name of this cha chaan teng, it has nothing to do with the country Australia. 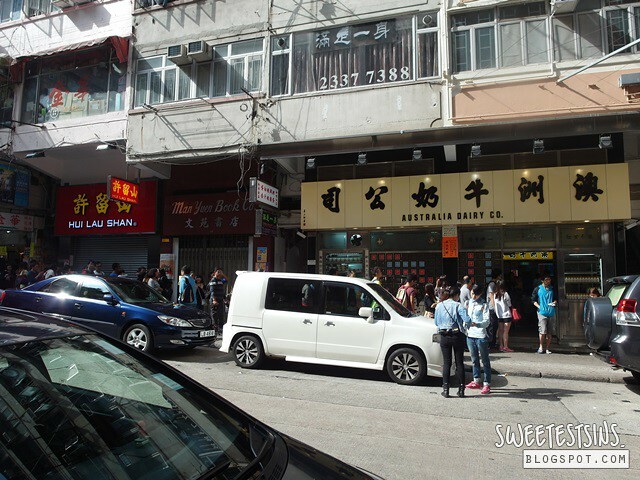 However, it is said that the boss of Australia Dairy Company once worked in an Australian farm in the 1940s thus that was how the name of the cha chaan teng came about. 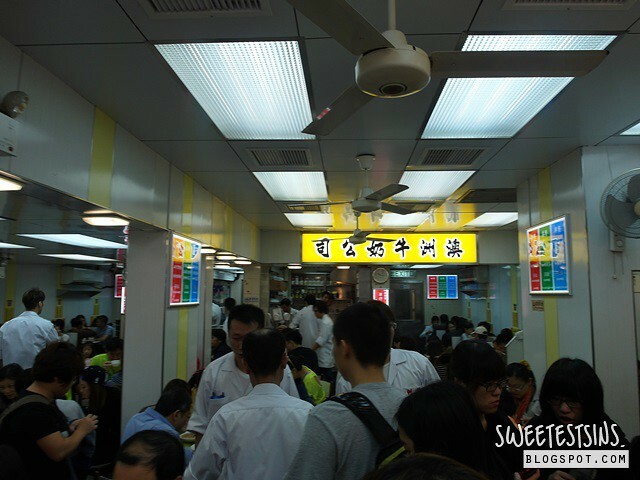 We were there about 10am on a Sunday and we waited in line for about 15 minutes to get into the cha chaan teng. If it is your first time at Australia Dairy Company, go for the set meal. 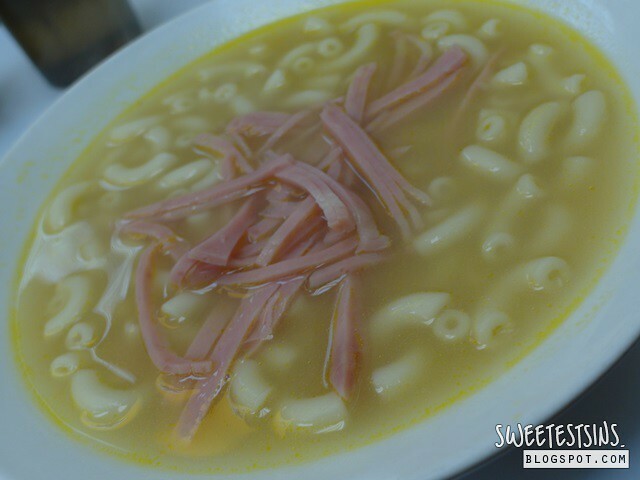 We opted for the breakfast set (HKD28) that comes with toast, scrambled egg, ham macaroni soup and a choice of coffee or tea. 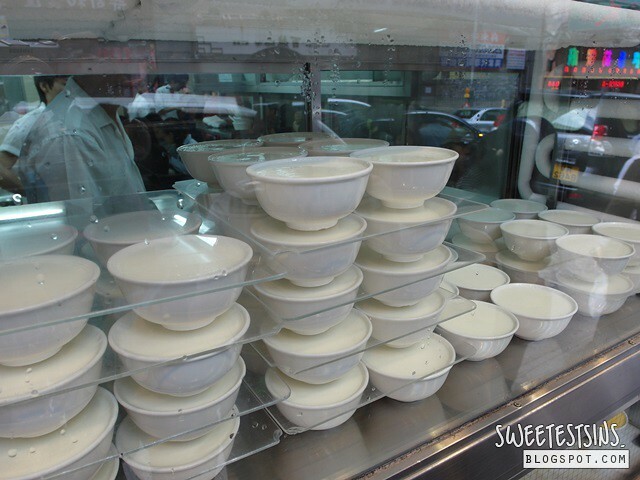 On top of that, we ordered the legendary egg custard pudding (HKD23) to share. Prior to my visit to Australia Dairy Company, I have heard stories about how the wait staff over there are impatient and rude. Thus, both my traveling partner and I were well-prepared and we even decided what we wanted beforehand. To our surprise, when our wait staff seated us side by side at a table for 4, he told us in Mandarin to decide slowly on what we wanted. I guess it really depends on your luck as we heard another wait staff saying, 'faai dim' (faster in Cantonese) to the couple whom was seated in front of us. In Hong Kong, you will have to get used to having other people sitting at the same table and eating while facing you. 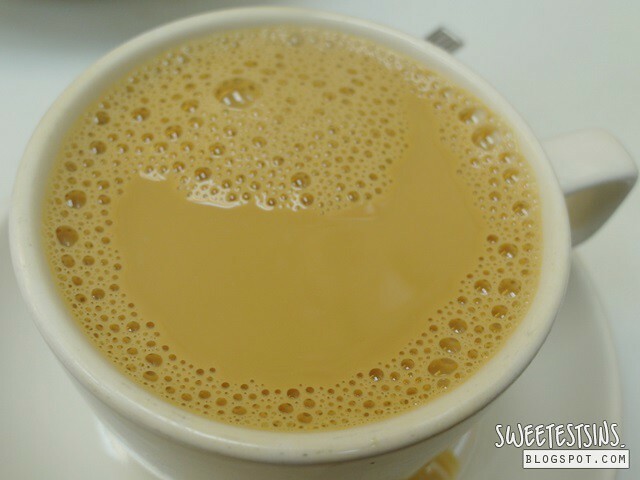 Trust me, you will love this if you are a fan of egg tart! 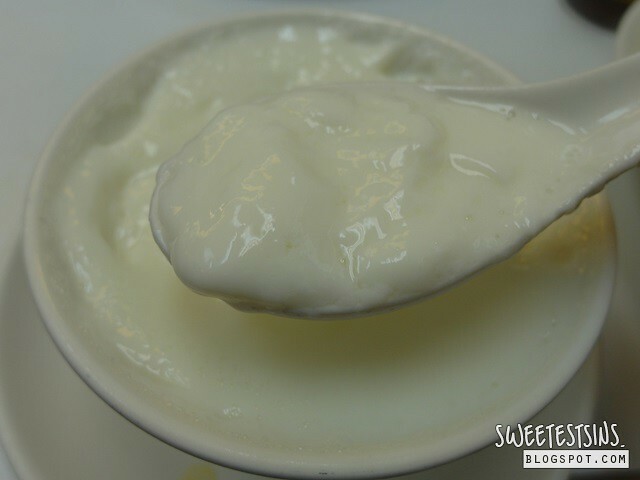 The smooth texture of the warm egg custard pudding will leave you wanting more. Word of caution - order this to share with your traveling buddy if you ain't a fan of sweet stuffs as it tends to get a bit sweet after a while. I don't think words alone can describe how good the scrambled egg over at Australia Dairy Company is. Its moist, milky yet not runny. I have tried a couple of times to duplicate Australia Dairy Company's scrambled egg at home but it's nowhere to perfection. The closest was when I used 3 tablespoon of full cream milk to one egg. Is Australia Dairy Company worth the 15 minutes wait? Would I head back there again on my next trip to Hong Kong? I would definitely for the scrambled egg and egg custard pudding. Walk straight and turn right after you see Circle K.